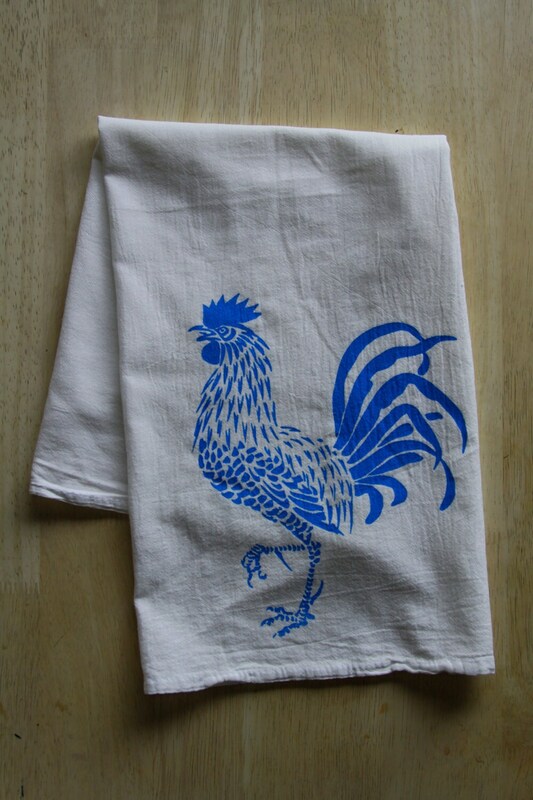 Rooster | Tea Towel | Hand Towel | Made in USA | Housewarming gifts | Up to set of 4. 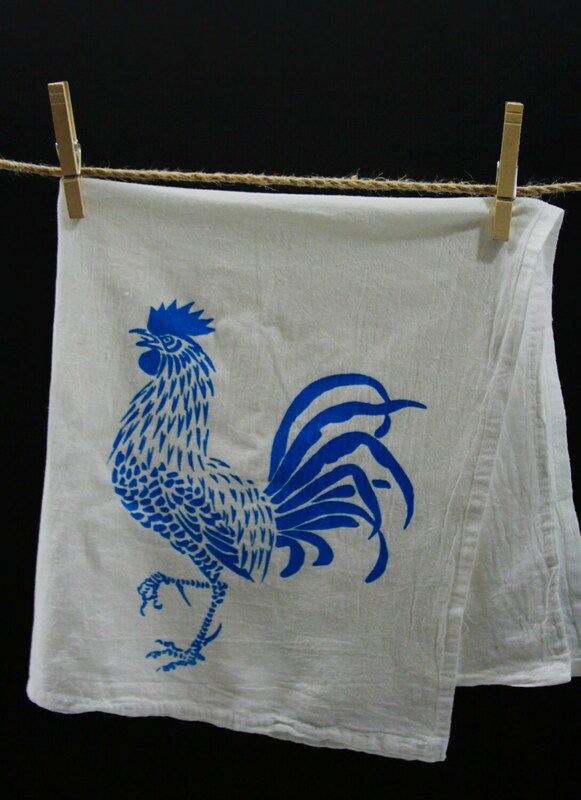 Screen printed with eco friendly-non-toxic water based inks by Matley. Simple and cheerful designs will brighten up any kitchen! These dainty, white-haired pony will pulls a lot of weight to make our kitchens better -- more efficient, more useful, more fun! classic, all natural and soft perfect for everyday use. It's one of the kitchen tools we turn back to again and again. Buy more and save, with one low shipping rate! When you buy 2 or more, if you would like to mix the ink color, simply leave us a note when you check out (exp.1 in blue ink, 1 in red ink) otherwise we will print your order the same color of your choice. • Cushion. 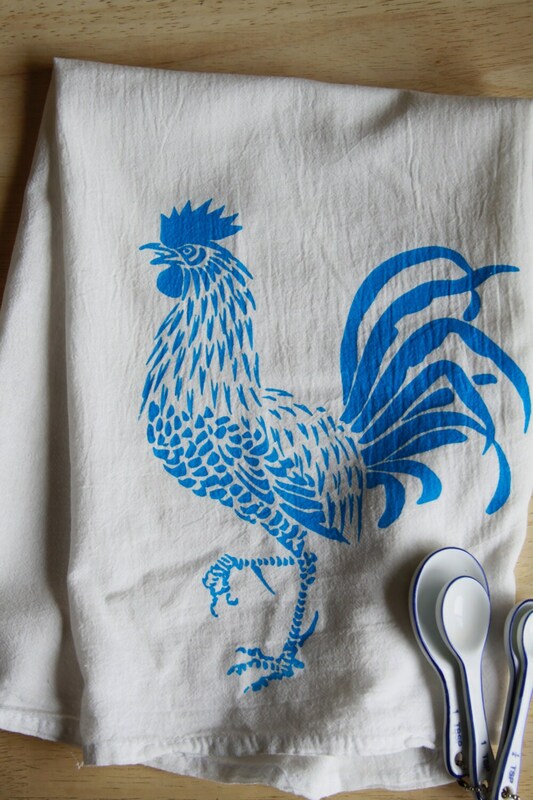 Put a tea towel under a mixing bowl, and whisk away; the towel will prevent the bowl from moving. • Wash greens. Never break out the salad spinner again. Dunk your greens in a bowl of water, lay them out on a tea towel, roll the whole bundle up, and pat dry. • Serve. 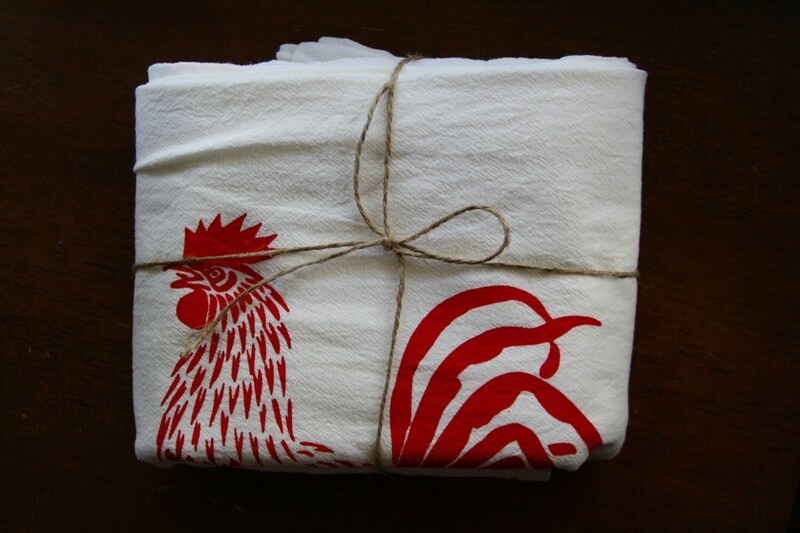 Line a bowl or plate with a tea towel, and then lay your food right on top. • Protect. When dealing with anything hot, use a tea towel as protection. Plus, they're a stylish addition to tea time. Use them to cover warm scones/bread or a teapot to prevent heat loss. These towels are each hand crafted and made to order, there may be slight variations in placement, but they will be just as lovely as the one photographed.